Some behind-the-scenes photos of our award-winning Schlafende Hunde cast! The English version is currently being updated. 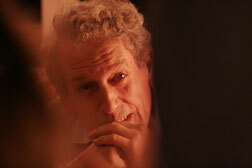 John Kirby plays the father, Jim, in Schlafende Hunde. 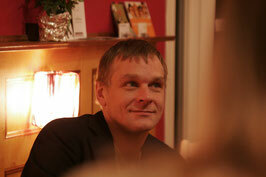 Originally from Holywood, Northern Ireland, John Kirby has been living in Hamburg since 1974. Since then he has worked extensively in film, television, advertising and, above all, theatre. His collaboration with director Michael O'Connor began on the short films Letter and Papa's Angel, which led to him being cast in the lead role of Schlafende Hunde. 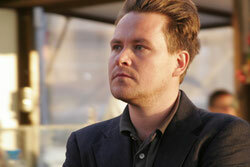 Marco Mehring plays Tom, Jim's son. He studied acting at the Freiburg Theatre School from 1997 to 2001 and has performed extensively in stage productions all over Germany. His credits include Lysander in A Midsummer Night's Dream, Hamlet in Hamlet, Caliban in The Tempest, as well as numerous other lead roles, such as Hamm in Beckett's Endgame and the teacher in Dürrenmatt's The Visit. Verena Wolfien plays Jule. Born in South Germany, she came to Hamburg to train as an actor at the Hamburg School of Acting. 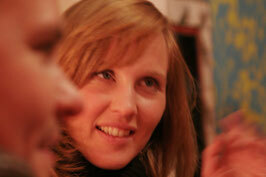 Since graduating in 2003 she has performed on stage at many major venues around North Germany. She has also had roles in several television drama series and telemovies, as well as working extensively in the field of voice acting, recording audio books for the North German Library for the Blind. Hans-Christoph Michel plays Piet. He has built an extensive body of work in theatre. After his move to Hamburg he trained as an actor and went on to set up his own theatre company, the Theater Manufaktur. With Hans-Christoph in the lead role, the company has brought to the stage the fable Reineke Fuchs by Goethe, Prokofiev's Peter and the Wolf, Molière's The Misanthrope and many others. His TV credits include roles in various series. 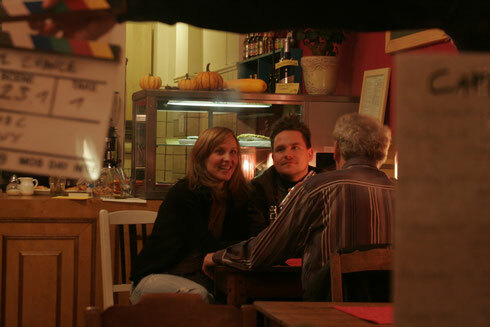 Shooting one of the café scenes with Verena Wolfien, Marco Mehring and John Kirby.